AXIS P3225-LVE Mk II Network Camera is an outdoor-ready, streamlined fixed dome providing HDTV 1080p video. 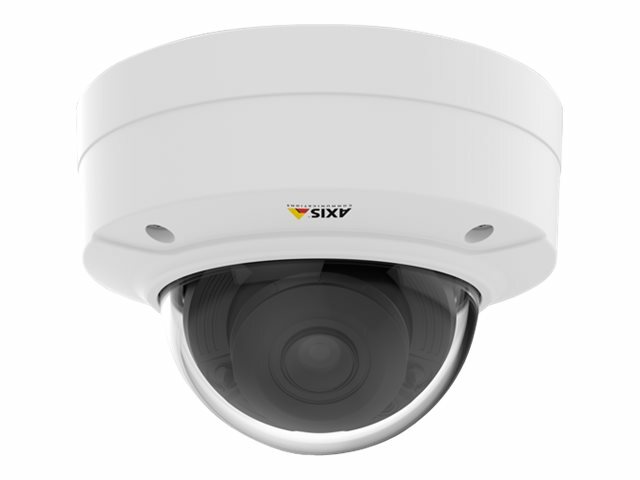 The camera is ideal for indoor video surveillance in retail, banking, hotels and other service industries. 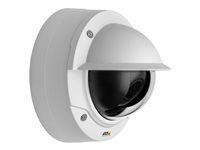 AXIS P3225-LVE Mk II is weather-resistant and IK10 impact-resistant, and has been designed for effortless and reliable installation. 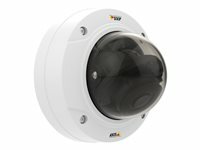 The camera features a varifocal lens and remote zoom and focus capabilities, which eliminates the need for hands-on fine tuning. 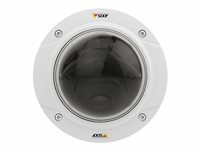 AXIS P3225-LVE Mk II can be mounted flush to a wall, ceiling or on junction boxes, and optional kits are available for recessed mounting or on pendants. Further, the camera supports versatile cable management with optional adapters for connecting to various conduits. The camera casing is easily repaintable in any desired colour to blend into the environment. 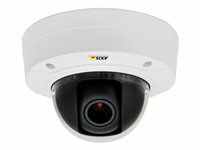 AXIS P3225-LVE Mk II provides multiple, individually configurable H.264 and Motion JPEG video streams. With a built-in memory card slot, the camera enables local storage of video. 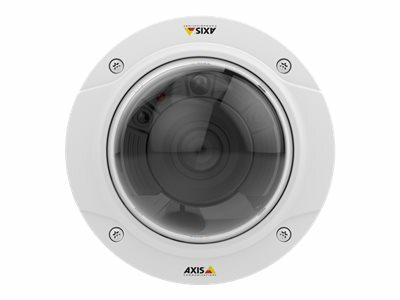 In addition, Axis' Zipstream technology significantly lowers bandwidth and storage requirements without costly and complicated integration.